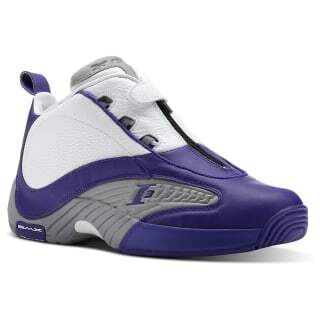 When it comes to throwback style, these Reebok Answer IV men’s shoes give you a classic look that never gets old. 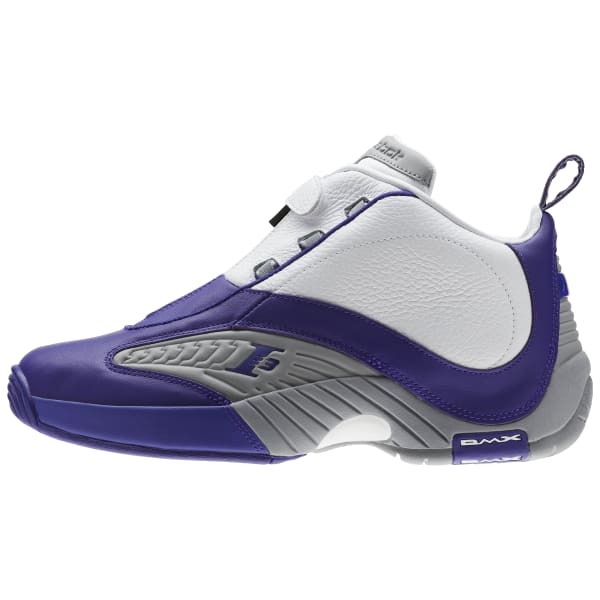 The purple, grey, and white colorway paint an eye-catching silhouette across the soft leather upper. A two-tone rubber outsole keeps this shoe fresh.